Ships don't sink because of the water around them. 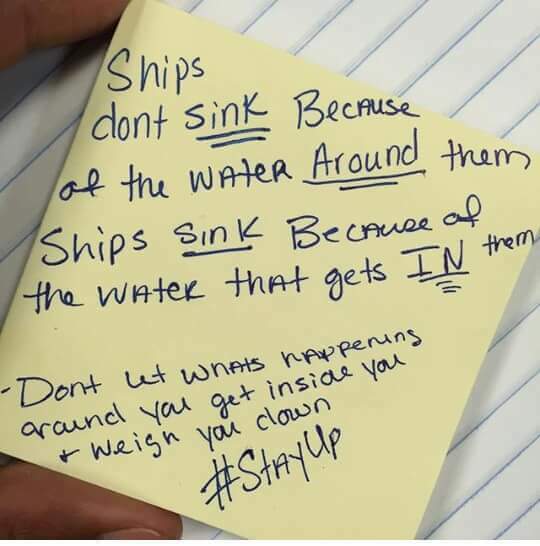 Ships sink because of the water that gets in them. Don't let what's happening around you get inside you and weigh you down.